NYC is such a diverse population. So, it’s very important that makeup artists and hairstylists learn how to work with all hair textures, lengths and colors, as well as all skin tones and facial structures. 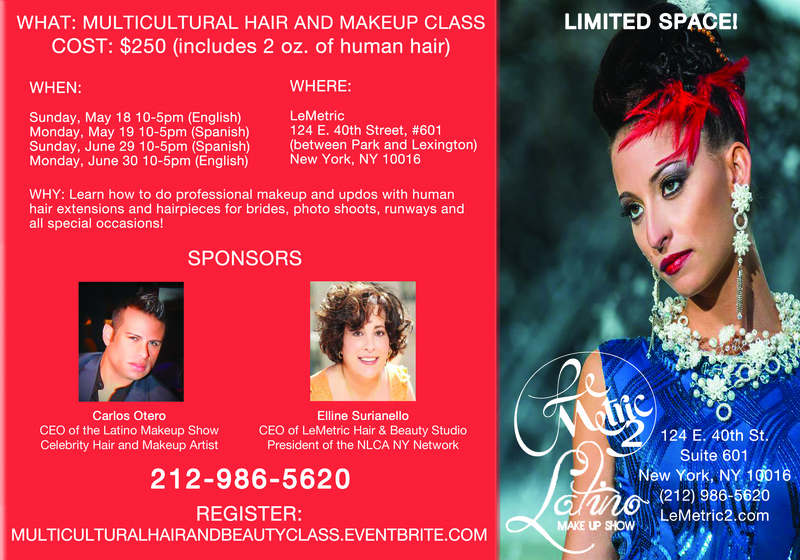 With our multicultural class, we will teach you how to do professional makeup and how to create updos with LeMetric’s human hair extensions/ hairpieces. By the time you walk out of our class, you will be ready to make everyone feel and look beautiful for weddings, photo shoots, runways and special occasions! Is Kim Kardashian Suffering From Hair Loss?